I'm not a huge fan of real pasta as it makes me tired and lethargic so I tried out zucchini pasta and I loved it. I've cooked it a few times now, each with varying degrees of success. The past two times have worked the best as rather than grate the zucchini I julienned it. I cook mine with prawns and a tomato sauce, but of course you can use anything you like. 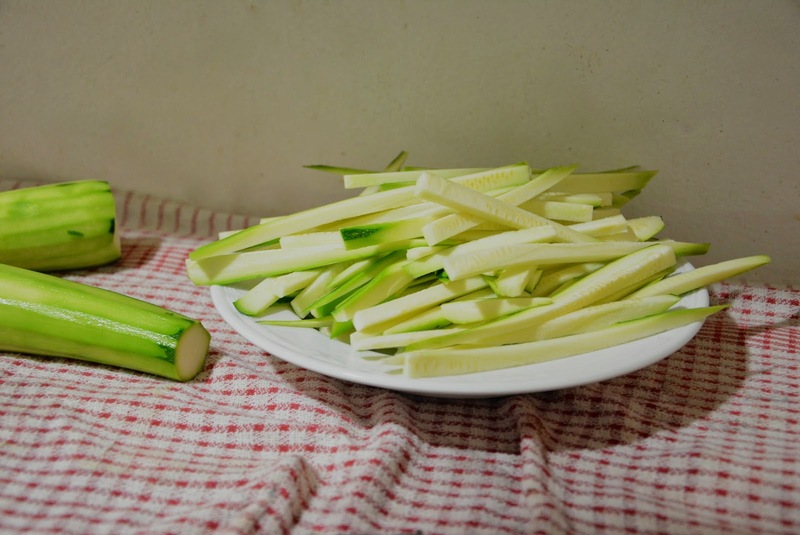 To make the zucchini in to a pasta like meal, I peel my zucchini then cut it in to thin slices (thick enough so it doesn't turn to mush later). From there, I cut the slices in to thin pasta like pieces. Mine were a little too thick last night, but after cooking it still turned out ok so that's a win. 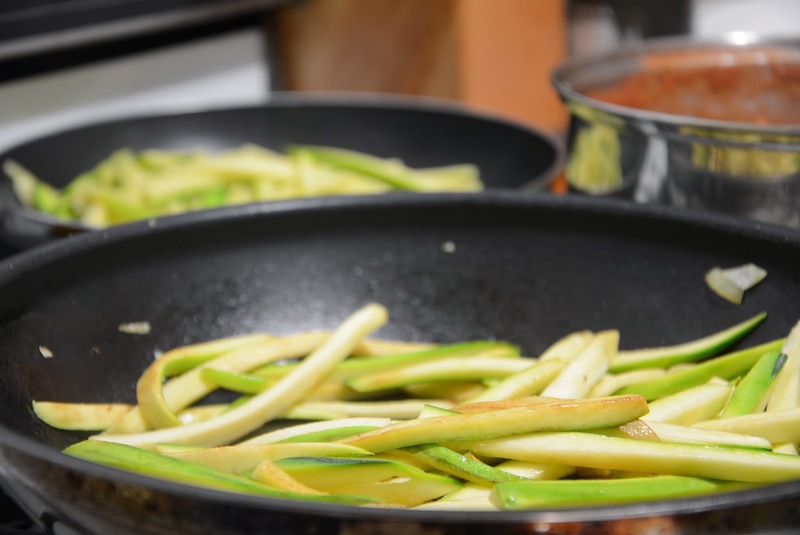 After cutting up your zucchini, I sautee it in a pan in 2 batches depending on how much you make. The first time I made it, I sauteed in water but it turned out really sloppy so now I just use a touch of oil and it does the trick. I like mine to still be a touch crunchy when done, and this takes about 10 minutes. I made a homemade tomato sauce that had tomato, a handful of basil, bacon, salt, pepper, onion and garlic in it that I cooked on the stove for about an hour. I also cooked prawns to put in the sauce. Of course, considering it is 'pasta' you can put whatever topping you like on there. I'd love to try basil pesto with chicken next time. OMG this looks delish. Pasta is my weakness, and with gym and trying to maintain a healthy lifestyle, i have had to limit the amount of pasta I eat. This is perfect!! 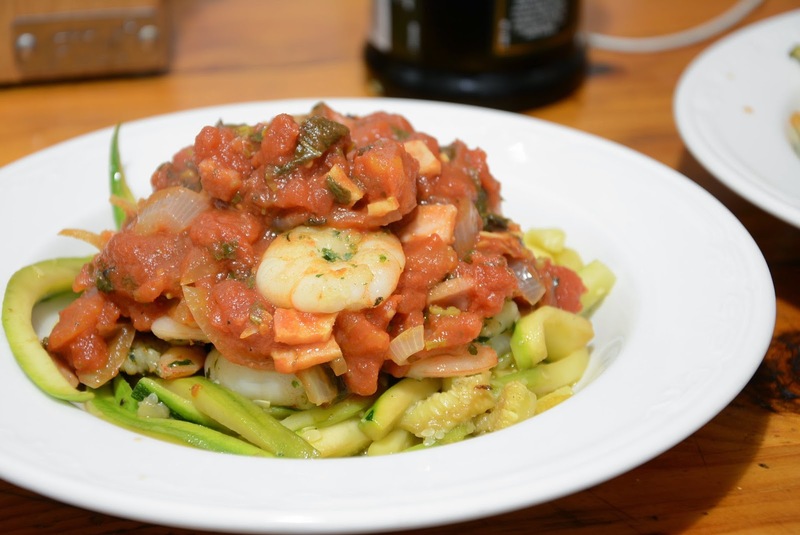 It is a great alternative to regular pasta! I always cut my fingers in the kitchen! Yeah, it was so good! I need to create new sauces though ha. I used to not like prawns actually. I have come around and now I think they are delicious! Omg... I'm craving this so bad now...its lunchtime.